This product is 100% natural, free of aluminum, baking soda, parabens, GMOs, and toxic ingredients you want to avoid. 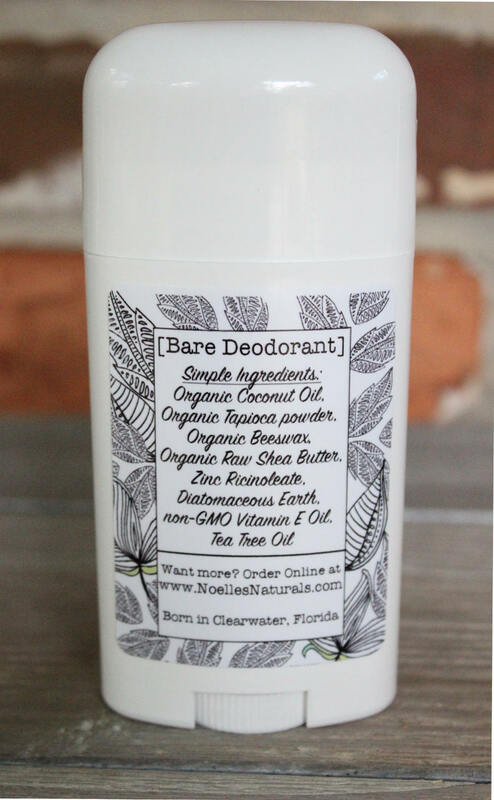 Finally a natural deodorant that REALLY works without all the harmful ingredients! The scent is gentle, light and pleasant but with less fragrance than our regular formula. This particular formula of our deodorant is specifically formulated for sensitive skin with ZERO Baking Soda. If you love the idea of a natural deodorant but it either irritates your skin OR you find that you still smell bad look no further! We cannot be more excited or proud of this product because it solves BOTH problems! How does it work? BARE includes the amazing ingredient Zinc Ricinoleate which is the zinc salt of ricinoleic acid, a major fatty acid found in castor seed oil obtained from the seeds of the Ricinus communis plant. It works by trapping and absorbing odor molecules, making them imperceptible to the odor receptors in your nose. It is safe, natural, non-toxic (with a score of 1 on the EWG skin deep database) and best of all it WORKS! SHIPPING NOTE: This product ships from Florida. In the warmer summer months, the deodorant can soften during shipping. If the package is warm when you receive it, please allow the tube to set straight up on your counter and come to room temperature before using. Avoid putting it in the fridge. For orders of 4 tubes or more, flat rate shipping is $7.00. Please message me after placing your order and I will refund you any shipping overages. Looking for something else? Want to leave out a specific ingredient? Would you like a different scent or essential oil combination in your deodorant? Custom orders are available upon request. Minimum order is 5 tubes with flat rate shipping of $7.00. Message me for details. Smells great and works great until I heavily sweat. I think I have severe swamp pits 😂. The Charm deodorant worked perfect for me. Fast shipping, and great communication. 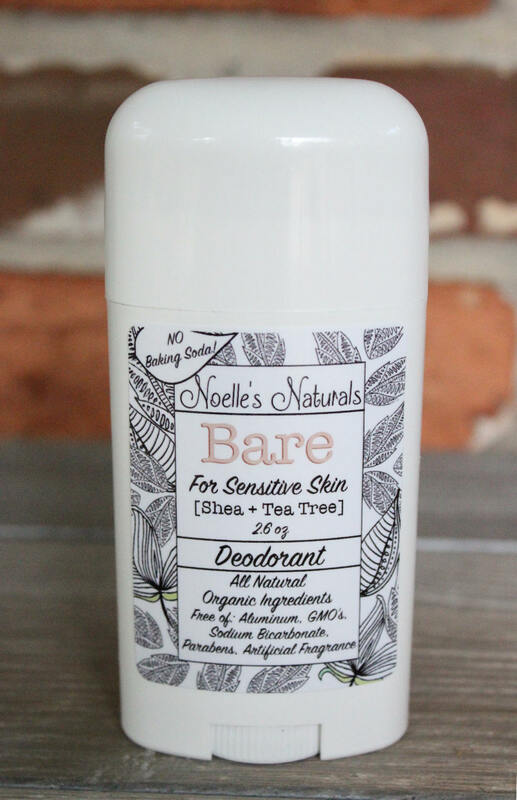 Good chemical free deodorant! Super fast shipping! While I was content with the deodorizing capacity of this product, the beeswax as an ingredient is problematic. I discovered after having used the deodorant multiple times, the beeswax collected on the armpit of my shirts and darkened them. I tried detergent, stain remover, and hot water to get rid of it, but the last method only spread the dark spot further. It is much like trying to get candle wax out of a tablecloth. My shirts remain stained. I had tried another natural deodorant with baking soda, and while it worked fairly well, after extended use I developed rashes under my arms. So I thought I'd better try one without baking soda. This stuff works really well. It's great that it can be applied without one's fingers, although the beeswax does stick to your pits and is a bit difficult to wash off. But overall, I am really pleased. I bought a different brand of natural deodorant that smelled great and had similar ingredients, but after a single half hour walk in the heat, I stunk. So this is a keeper. I will buy more.